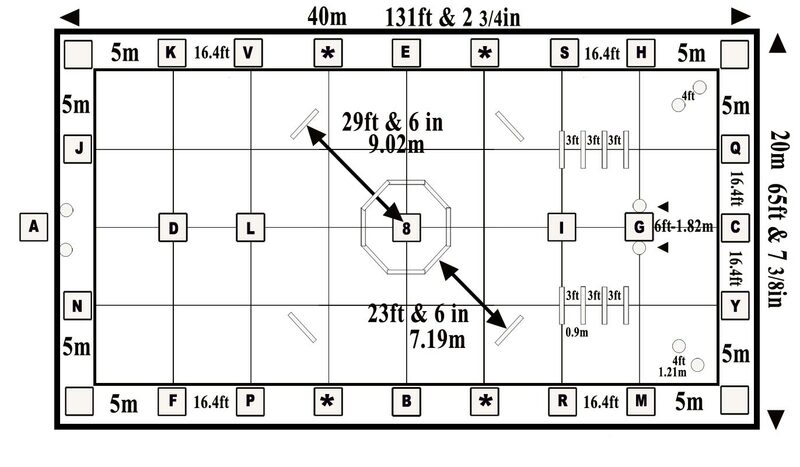 Eitan created the Cowboy Dressage® Court simply because it made good sense. 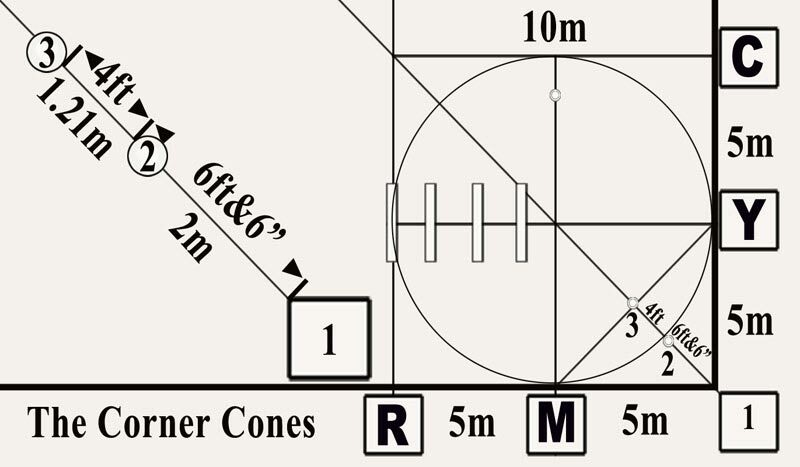 Most of the short dressage courts of today are built on 8 M and 12 M increments or 6 M and 14 M increments but circles are in 10 M and 20 M increments. Eitan had taken the smaller dressage court (20 M X 40 M) and divided it into equal measurements of 5 M and 10 M. The grid on this new court helps the rider with precision and execution. 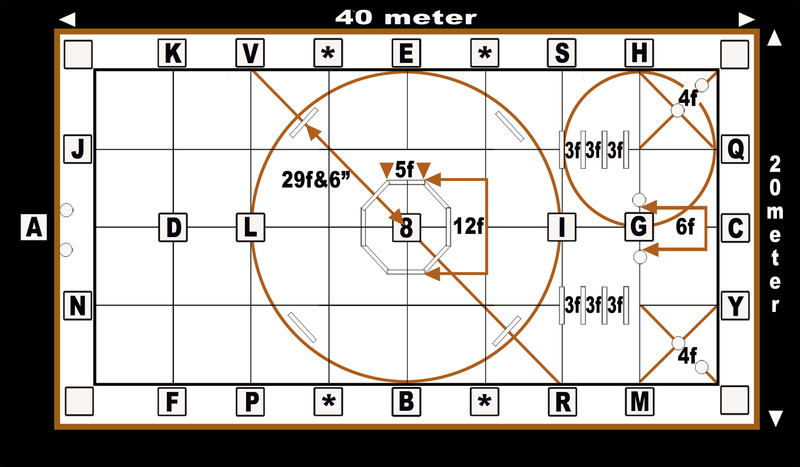 The smaller court fits the movement and shorter stride of the western horse. 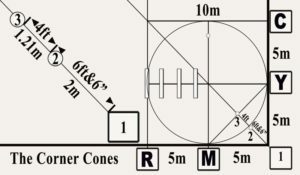 Two cones have been added to the short sides of the court allowing for more transitions and maneuvers. (If we have learned anything from our western public it is that they like to do stuff!) 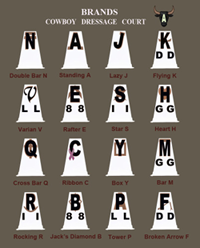 You will notice that each cone has a brand to go with the letters. 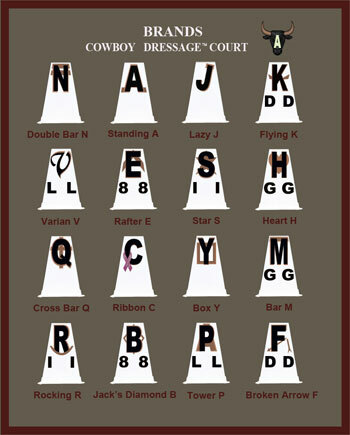 You call the test with just the letters but the brands are the Cowboy Dressage® court’s identity making it very western and different from the standard dressage court. 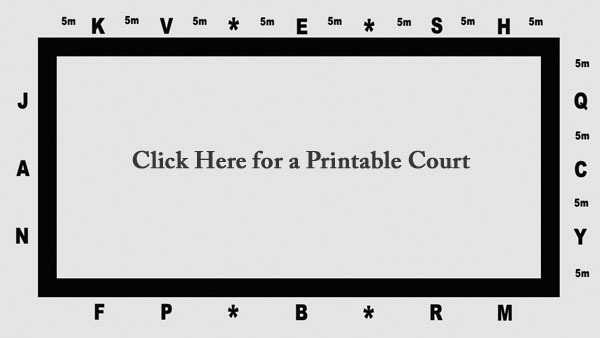 This new court is a warm welcoming to a western home.